How is Bee Keeping done in Uganda;Bee keeping culture in Uganda? For many bee keeping is a favorite activity to them. Other than the pleasure of taking car of bees, bee keeping offers a wonderful tasty reward of honey. Additionally, this activity comes hand in hand with other advantages for example the bees are a good pollinator of the different plants in your garden and crop fields. 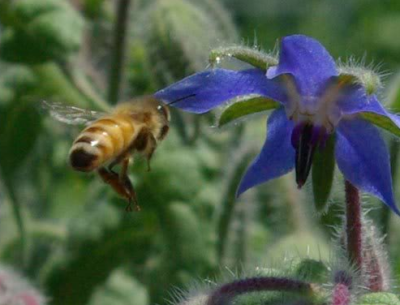 Remember pollination is the basic aspect that increases crop production, fruits and vegetables. What do I need to Know about bee Keeping in Uganda? As it is said “As busy as a bee”, you will discover that bees are naturally very industrious! They are so hard working to see to it that they gather nectar into their hive. Their lifespan is of approximately 35 days, after which their wings wear out and they can no longer engage in any communal activity, until they finally die. The honey that bees store is supposed to help them during critical time when the number of flowers in their environment has lessened. Actually, you will discover that stimulated bees produce much more than what they can eat. It is at such times that beekeepers harvest large quantities of honey. There are two categories of honey. Firstly the honey sold by beekeepers is collected from the hives and it is in liquid form. On using centrifuge equipment which are popularly referred to as extractors, beekeepers can then remove the various honey combs. Secondly the honey can be sold in its original combs as here is a largely available market that prefers to consume such. Such honey is not fully processed for use, but for those who prefer natural, this is an added extra. Unfortunately, many people are not aware of the various flavors and colors of honey on the market. Just like different flowers have different scents, so is it with the nectar from the various scented flowers. Also the type of the soil highly determines the scent or the smell of honey. Additionally, the soil type too affects the color/appearance of the honey. For example honey collected from nectar of the alfalfa flowers that usually grow in alkaline or dry soils is usually close to white or rather clear. And that which is collected from the buckwheat nectar that grows in the acidic soils is very dark.Furthermore the quality of the honeycombs affects the honey’s color, taste and appearance. So don’t be surprised if you come across red or green honey in addition to the usual golden. Every bee keeper should comply with the regulations and rules that are established by the state. It is also recommended to cross check if there are any legal rules regarding the honey processing, handling or labeling processes. Normally different countries have different rules that apply to the production & processing process of bee products. Keep in mind that anyone who keeps bees for commercial purposes automatically is recognized by the state as a business. Beekeepers should keep in mind the different market strategies. This will help them while selling honey plus other bee products. They most important questions that every beekeeper should ask himself or herself are: where to sell their honey, and who are their target customers. Today there are a variety of activities that people engage in as hobbies but the most rewarding of all is beekeeping. So always endeavor to expand on your business. Where can i get Mushroom spawn seed first grade oyster packed in 500g bottles and whats the price. This is good information and hope to get more. Thanks. Kindly avail me with your email address i have a list of items that i need to purchase from you. iam willing to start this Dec i wanted to knw how much are the bee hives , each and also other gears. Greetings from appeal to ugandans from the rural parts of Buikwe district. 4. Are there grants for such projects currently running in Uganda for community based organisation like ours to support the project , because we want to sustain our CBO activities and we have the land for the project.